Using a cultural prism, add to the understanding of this foreign culture and assist in the documentation of this remaining instance of Soviet style social realism art. This project will use the skills, know how, and technology proven through the Cultural Conversation oral history project (http://cultconv.com), to bring an exhibition of North Korean Social Realism art to the attention of the international community, and in doing so assist in the documentation and preservation of this last bastion of Soviet style Social realism art. The project will publish details of the exhibition at the Gwangju Biennale in September, 2018 including a seminar by Prof BG Muhn, an international expert in this genre, details of the mounting of such large ink works on rice paper and, it the politics permit, interviews with two of the North Korean artists. These interviews will explore why they have become artists, the processes involved in doing so, the arts environment in North Korea and what they have contributed to the development of that arts culture. The project aims to commence in July 2018 and complete publishing early in 2019. The team is already in place in South Korea. 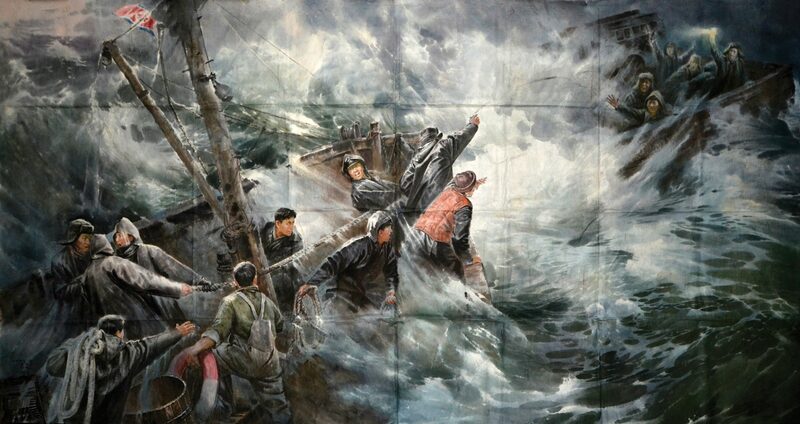 The 2018 Gwangju Biennale asked Prof. BG Muhn of Georgetown University, to curate an exhibition of North Korean Social Realism art. He has researched this genre for over 20 years amassing an unrivalled expertise. He has asked the Cultural Conversations project to document and record the activities of this exhibition, publishing it online using our Cultural Conversations technology, providing a seminal opportunity for the International community to appreciate this genre and get a glimpse into this secretive nation through a cultural prism. This is important for us to understand what drives this nation, how they see themselves and how we can use this opportunity to help recent developments towards peace. We are asking for financial support to allow us to undertake this project and publish a freely available website documenting this seminal event. We have skills, technology and know how, proven in publishing 18 interviews online since 2012. All moneys donated will be used to fund the activities of the project team in Australia and South Korea. It should be noted that no moneys will end up in North Korea. A detailed project plan has been created showing timelines, resources and costs. A copy is available here. The end result will be an addition to the Cultural Conversations website, http://cultconv.com, with detailed information about the works, including the complicated process of mounting large ink drawings on rice paper, a narrated walk through the exhibition with specific details of each work, a seminar about this genre by Prof. BG Muhn and, if politics permits, interviews with two North Korean artists who have contributed to works in this exhibition. They will also be asked to demonstrate how such works are developed. Cultural Conversations is a unique cross-cultural exchange which overcomes the barrier of physical distance in order to celebrate the richness of cultural distance and difference. 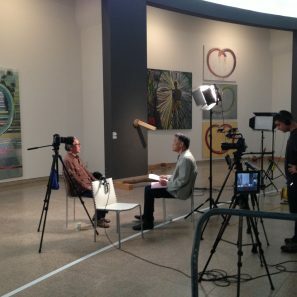 Cultural Conversations is an online oral history archive of the visual arts in Australia and South Korea. Oral history may not always be factually accurate, but it brings its own truth to our understanding of how a culture has been made. It brings the kind of texture that raw facts cannot supply. And it brings an emotional dimension only possible when someone speaks in their own voice of their own experience. The project clearly has enormous international potential, both in taking Australian art to the world, but also in generating cross-cultural exchange. This project is new! Be the first to donate. Join us to celebrate our 40th Anniversary and help us to continue our work to transform the practice of history. Borderlands is a project to create and publish a Northern Territory literary journal that showcases Territory storytelling by Territory storytellers.